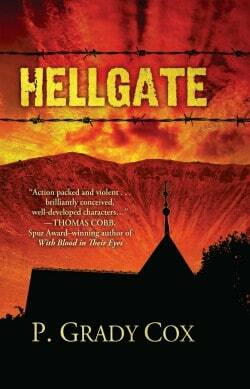 In 2013, the first chapter of Patricia Cox’s second novel, Hellgate, received third place honors from our WEN Competition. What happened next? “I signed a contract in 2016 and Hellgate is launching on April 18, 2018, published by Five Star Publishing/Cengage.” It is currently available for pre-order on Amazon. It Takes a Coven did not emanate directly from a contest submission, but its predecessor did. Back in 2013, Carol Perry entered the first chapter of her Nightshades novel — and won First Place! Fast forward a bit, and Kensington Publishing bought the book to publish as Caught Dead Handed. But that’s only part of the story. 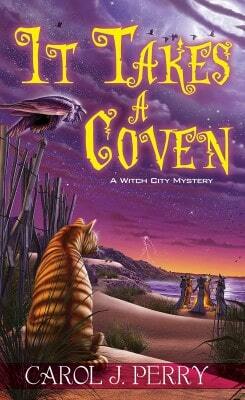 That contract was initially for THREE books and a “Witch City Mystery” series . . . which has grown to six titles with another already in the hopper for this fall. 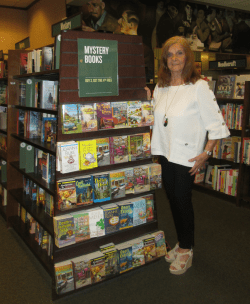 You can read an interview with Carol about her “contest to book series” success here on our blog. A review of It Takes a Coven and an interview with Carol also appear in this month’s King’s River Life. The very first time Patricia Cox sent in an entry to the Writers-Editors International Writing Competition was back in 2011. 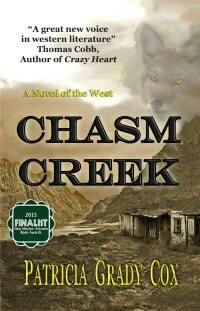 That resulted in a First Place win and a First Honorable Mention for chapters from her first novel, Chasm Creek. That book went on to be published by a small press in 2013. You can read our post about it here. Then a second edition — along with this new cover — was brought out in October 2017. It’s available on Amazon. Entries are judged blind (judges have no idea who the writers are or where they are located). Deadline for entries to be postmarked is March 15, 2018 (online entries also allowed until midnight on March 15). Guidelines and entry form are posted at Writers-Editors.com. Winners are posted by May 31. What about you? Have you any successes as the result of winning writing contests? Please do share with us below. I’ve been a member for a couple of years. My friend Carol Perry recommended you. I have a self-published novel on Amazon and a new one I just finished. I want to submit part of it. Does it matter what part I send (beginning, middle, ending)? Can I get my bio on your author page? 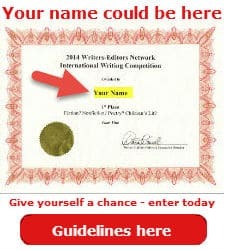 Linda, our Fiction category permits entering one novel chapter per entry. You can choose any chapter in your novel. Please refer to the Guidelines. I’m not sure what “author page” you are referring to; if you could email the URL to me at dana@writers-editors.com, I can let you know. Be sure to include information about your novel on Amazon so we can list it on our Book Bag page. Looking for good contests, USA & UK, for a novel published last April by Balboa Press. This life story, set in the 1100s AD in England and the Middle East, and which includes the 2nd Crusade, is told with researched historical accuracy in the voice of Jophiel Balerais, an older Englishman now in his sixties and recalling his life. I will be entering it into contests (would appreciate suggestions) and looking for film producers and companies who would be interested in a gripping life story that is historically researched and accurate lived in times whose ramifications still disrupt relations between East and West. I am a retired writing teacher from Columbia College, Chicago. I feel that this story, which has been carefully researched, has wide usefulness in understanding the international relations of our own times, as well as the cultures from which our current times have devolved. The book was published last April by Balboa Press. I am looking for “the next step” terms of a t.v. series and/or movie production. The historical facts help a great deal in understanding the international relations of our own times. As well, it is a beautifully inspiring and courageous tale told to me by a man who thought he had lived it as a “past life”. Thanks for any help you can give me.